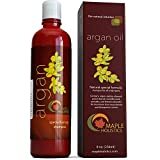 For unruly and frizzy hair Infused with argan oil and argan butter Color-Safe/ Sulfate, phosphate, paraben-free Restores amino acids to strengthen hair’s natural keratin structure. Tame frizz for up to 24 hours. 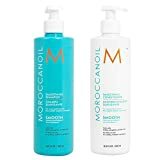 Moroccan Argan Oil Hair Shampoo and Conditioner, Provides lasting moisture to even the most dry and damaged hair leaving it soft, manageable and ready to rock. This renewing formula is Sulphate, Phosphate and Paraben Free. Safe for color treated hair. 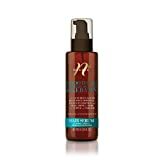 Infused with Keratin and Omega 3 Fatty Acids make up a triple moisture system adding shine, repairing and softening hair. High Concentrated Formulation with the best natural resources for dry and itchy scalp. A Luxurious blend which instantly penetrates the hair fibers restoring shine and softness while strengthening. Derived from the southwest region of Morocco, argan oil protects from styling heat and UV damage while creating soft, seductive, silky perfection. Smoothes, revitalizes and renews the overall health of the hair, leaving it silky, shiny and manageable.